Home / Calendar	/ Enjoy delicious Balkan flavors during Sunday brunch 18.4. at the Prague Marriott! 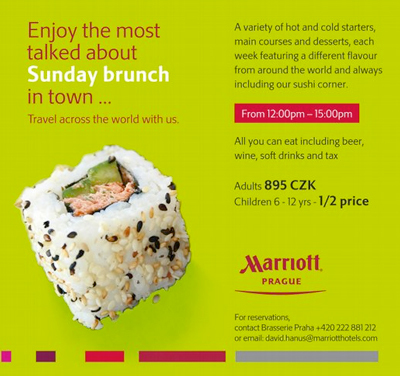 Enjoy delicious Balkan flavors during Sunday brunch 18.4. at the Prague Marriott! Enjoy our Sunday brunch with Balkan flavors within our "Travel accross the world" theme.